 Awesome Propertysubmitted by Elizabeth W. - Apr 01, 2019 |Recommended: Yes22 floors is a great place to live, especially if you are living alone. Appliances are perfect for 1-2 people and the units are layed out very well. The staff are very timely with responses and helpful with issues. Neighbors are great and never too loud. My dog and I love living here My only complaint is the music level of the pizza restaurant downstairs. Although their outdoor music level is not that loud, the bass level carries through to my and my neighbors apartment from about 11am - 11pm and makes it difficult to sleep or stay asleep sometimes. Lovely apartment but not fond of the pets.submitted by Evelyn T. - Feb 14, 2019 |Recommended: YesScenic views, lovely apartments with all the amenities. Great location with lots going on in the area. Very evident that pets live in the building.